Reacting to the recent political violence in Nasarawa State, non-governmental organisation, Action for Balanced State, based in the state, has called on the people to remain calm and be law abiding. ABS, in a statement issued by its Director Walid Khalil, in Abuja yesterday, specifically, lamented the burning of PDP secretariat in Obi Local Government Area, last week, where party documents and other valuables were destroyed, saying that the government did not live up to expectations in the area of provision of security to all in the state. 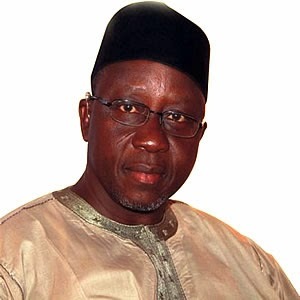 Describing the APC-led government as incapable of spearheading peace in the crises-ridden state, the group called on especially Governor Umaru Al-Makura to impress on his supporters the need to live peacefully and enable the state to develop. Describing the ABS as a non-political group, the statement said that the group has decided to throw its weight behind the gubernatorial ambition of Yusuf Agabi, without any consideration to his political affiliation or party. The ABS said it believed that Agabi would work fervently for peace and unity in the state, adding that it was regrettable that series of politically motivated violence have displaced people from their homes and rendered them economically handicapped in the state.